If you're planning to send out Christmas cards this year, or just enjoy have festive address labels, you can get a great deal on them through VistaPrint right now. ::Just click here and go to the left hand side of page. ::Under "Home & Family" choose "Holiday". ::Design your labels and checkout. ::You should get 140 labels for free and only pay around $3 total for shipping. 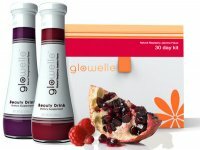 “Glowelle is a clinically proven antioxidant supplement to help fight the signs of aging below the skin’s surface.” Sounds like it’s worth a try! Fill out the form on Facebook and they will send you their fabulous Glowelle clutch containing three Glowelle powder stick packs, product information and a few refreshing, beauty-boosting recipe suggestions (approx. $15 value). Smokey Bones: $5 off ANY Purchase! Wow! If you have a Smokey Bones nearby, then you'll be happy to hear about this new coupon that's available: save $5 on ANY purchase--there is No minimum purchase required! Coupon valid thru 11/2. 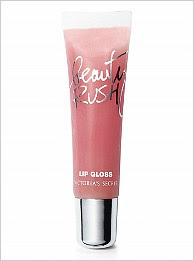 Victoria's Secret: FREE Beauty Rush Lip Gloss! Victoria's Secret has a great new offer available! Just bring along this coupon to snag a FREE Beauty Rush lip gloss when you get a bra fitting--NO purchase is necessary! Limit one free lip gloss per customer, per day. Offer valid thru November 15th. Old Navy: $2 Halloween Costumes Oct. 30-31! Mark your calendars! Old Navy is having a fantastic Halloween sale October 30th-31st! They will have Halloween costumes and other goodies marked down to just $2! Wow! Here’s another great sample to pick up on your next trip to the mall! 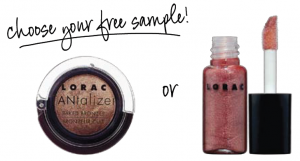 Choose from two great Lorac samples (PDF) at any Sephora store located inside JCPenney. The first 100,000 Facebook fans get a free 6-piece chocolate dipped fruit box (a $15 value). You'll receive a coupon code by email within 1 to 2 days of registering and you should be able to order your free fruit online and pick it up at your nearest store to avoid any delivery charges. You'll have until November 21 to use your coupon. The first million people to register with Kodak Gallery will get a free gift. 300,000 of those free gifts will be a $15 gift code--which would be perfect to use to purchase some Christmas gifts for grandparents or to get photos printed to include in your Christmas cards. I signed up with 4 different email accounts and was able to get the $15 gift code every time... I hope I can use all these codes together for a great item! Go here and click on the "Lifeway Kefir Bar Giveaway" button and you'll be able to sign up for a free Lifeway Kefir Bar. This is good for the first 5,000 sign-ups only so hurry! Click here and find the Free Ziploc samples button as shown up above. If you're one of the first 10,000 people to click on it and sign up, you'll receive free samples from Ziploc, courtesy of Right@Home. Two FREE Personalized Luggage Tags! KLM, Royal Dutch Airlines, is offering up 2 FREE Design your Own Luggage Tags! Throw away those boring luggage tags and give your baggage a new look by designing your own, unique tag. You can use a photo of your family, your favorite destination, or, to make it easier, you can choose from one of the images pre-selected by KLM. Just go here to get started. What a cool little freebie! **This promotion is only available for to all legal U.S. residents of one of the fifty (50) United States or the District of Columbia (excluding Puerto Rico, Guam and the U.S. Virgin Islands). World Kitchen: Pyrex Baking Dishes $1.99! World Kitchen has some HOT deals available! They've got quite a few Pyrex baking dishes priced at just $1.99. You can check them all out here. Plus, you can use this coupon code A20350 to get an additional 20% off. Please note that to get this coupon code to work, you'll need to check the box that says "Sign up to receive 20% off your order and future money saving offers from Shop World Kitchen!" --This box is found under your shipping address. **If you purchase $19.99 or less, then shipping is $6.99. If you purchase up to $34.99 worth of items, then shipping is $8.95 and it goes up marginally from there. I would recommend at least purchasing a few items to make shipping worth it. Canvas People: FREE 8x10 Canvas + Shipping! 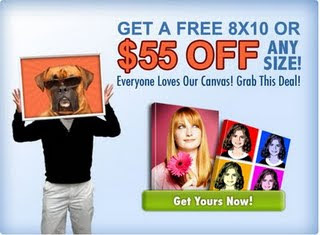 Canvas People is offering up a FREE 8X10 Canvas! Shipping is around $14.95. This is still an awesome deal, though, considering the retail cost is $50+! Just go here to check out all the details, upload your photo and start creating your FREE 8x10! Here’s a fantastic and inexpensive Christmas gift idea! 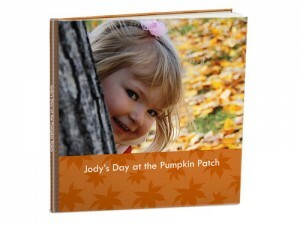 Get a FREE 20-page 8×8 hard cover photo book from Shutterfly (ARV $29.99). All you have to pay is shipping and handling of $7.99! Redeem your code through 11/15. Receive a FREE 27-pc. mini makeup kit (ARV $15) with ANY purchase at E.L.F. right now! Just enter code LOYAL at checkout. FREE travel size item with any purchase coupon. Use this on anything in the store to get your free travel size item worth $5! 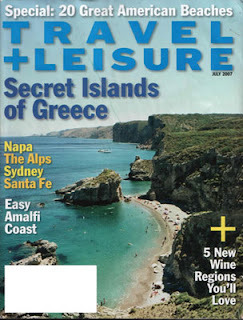 FREE 2 Year Subscription to Travel & Leisure! Rewards Gold is offering up a FREE two-year subscription to Travel & Leisure magazine! Just fill out the survey and then your mailing info. Allow 8-10 weeks for delivery. Sign up to receive any combination of up to ten total pregnancy or ovulation tests from Sacred Heart Mission. *HOT! * Buy One Dozen Eggs, Get One Free coupon--first 20,000 only! Hurry and go take the pledge here to join America's farmer's in a commitment to live more healthfully and give back to the community. After doing so, you'll be able to print a coupon twice for a free dozen eggs when you buy one dozen. Do you have a paint can with a label on it sitting around and have a small painting project you'd like to complete? Register here for a free quart of Glidden paint and then mail in the form along with the label of any paint can by October 16, 2009 or until supplies last. Big Lots: 20% off Coupon- 10/5-10/10! Big Lots has a great coupon available, valid thru 10/10! Just go here to print a 20% off your entire purchase coupon for all Buzz Club members! If you're not a club member yet, then just go here and register for FREE! For five days in a row 18,750 free bottles of Herbal Essences products will be given away each day on a first-come-first-serve starting Thursday at 11:30 PM Eastern through their Facebook page. That's a total of 75,000 free bottles of shampoo or conditioner and I'm hoping that lots of my readers will get this freebie! The first 10,000 people to sign up will get a free full-size can of Oust Air Sanitizer. Today only you can get a free DVD rental at your local Redbox. Simply use code: QNGJ7KD. This can be used once per debit/credit card, so you can rent more than one for free by using different cards! Print a coupon here for a free Cheeseburger Slider when you buy another one. One coupon per customer per visit. Coupon expires October 31, 2009. BuyCostumes.com has a wonderful deal going on right now. Everyday they update their website at 9am CST with 5 costumes for $5 or under. You have to hurry though because they sell out fast and when their gone... their gone! Thanks for your interest in Culturelle, and more importantly, digestive and immune health! To receive your free “I ♥ Bacteria” t-shirt please complete this simple form, including preferred size. 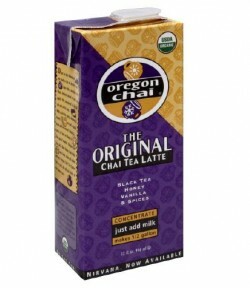 Sample The Original Chai Tea Latte Mix. 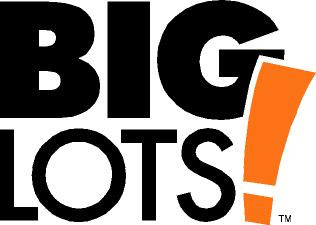 If you're a member of the Big Lots Buzz Club you can go here and print a coupon for 20% off you entire purchase at Big Lots. What a great deal! Hurry on over here and request a FREE Lenovo Thinkpad Notebook! Yay! This is a legit offer and was found in a brochure sent out from Lenova! Allow 3-4 weeks for delivery.